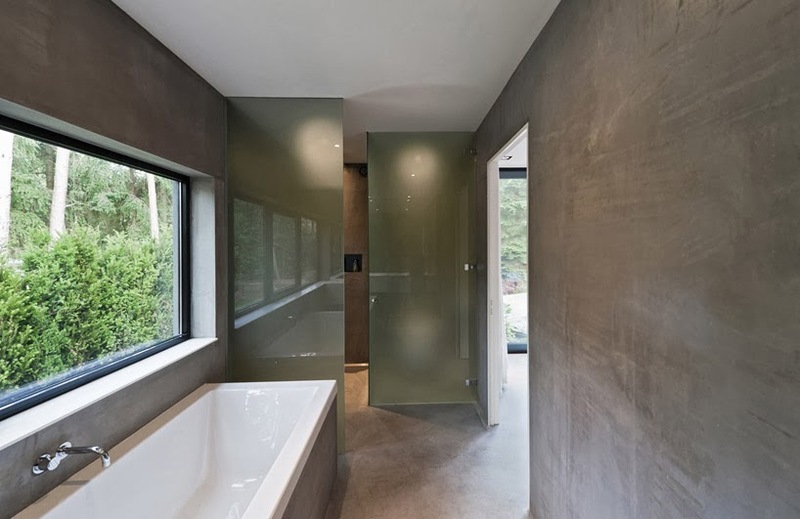 Rotterdam based 123DV architects designed Villa Veth, an abstract villa covered in dark gray stucco. 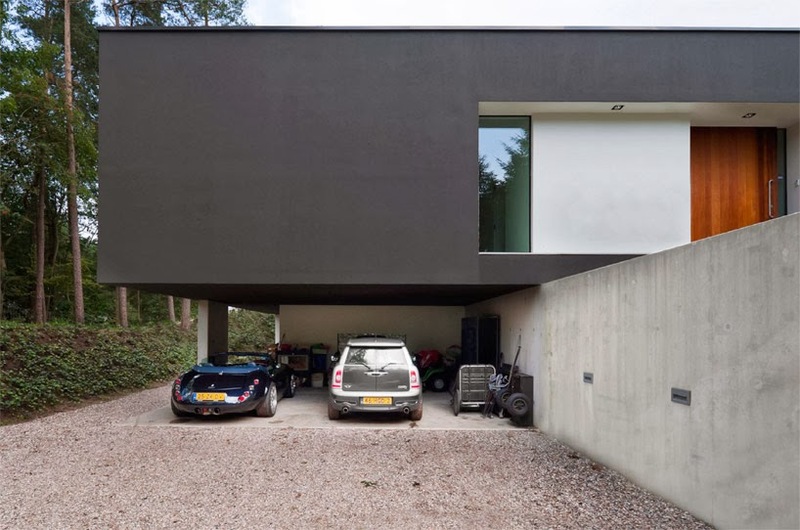 Located in the woodlands of Hattem, Netherlands, the purist white house sits above a ground floor utility room and car-port, connected via a staircase. 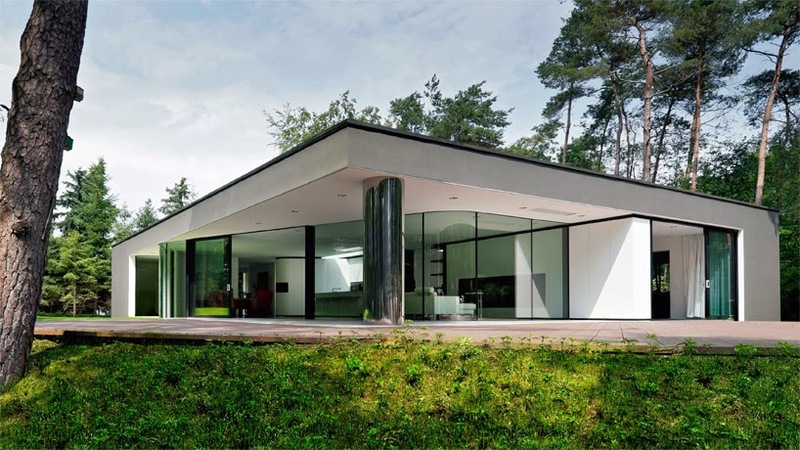 The bright unified living space features seamless curved walls of glass that wrap around both sides of the space, overlooking the lawns and trees beyond, allowing the space to extend its boundaries into the landscape. 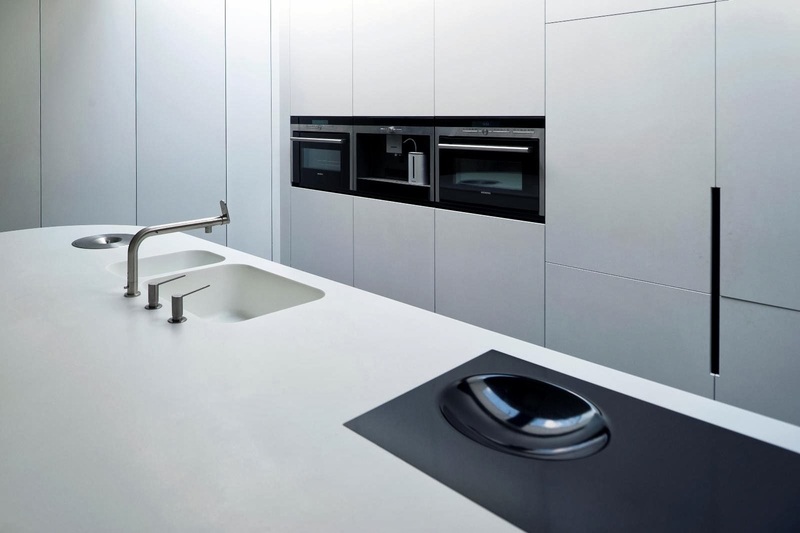 The entire floor is also united by a polished concrete floor, above which the one piece kitchen worktop element appears to float. Between forest and meadows lies a varied landscape. High, dry, sandy dunes interspersed with heather, willow bushes and grasslands. 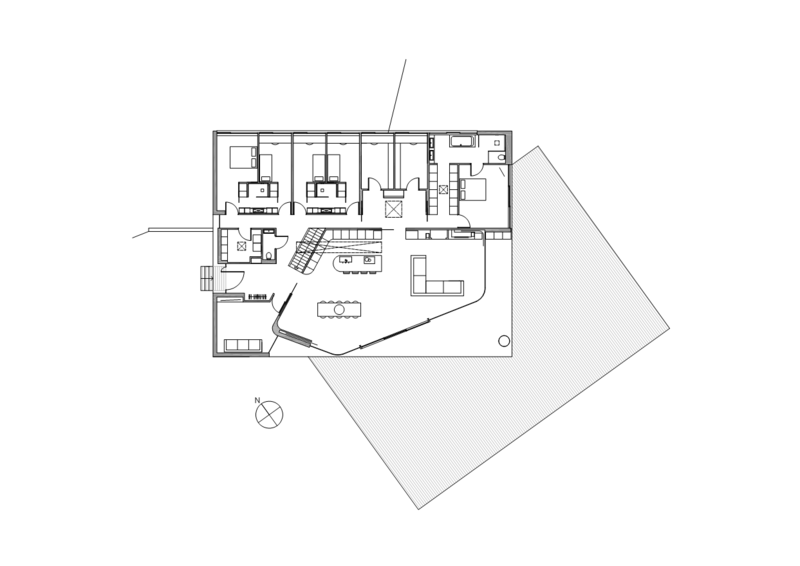 An ideal setting if you like the outdoors, like the inhabitants of this villa. 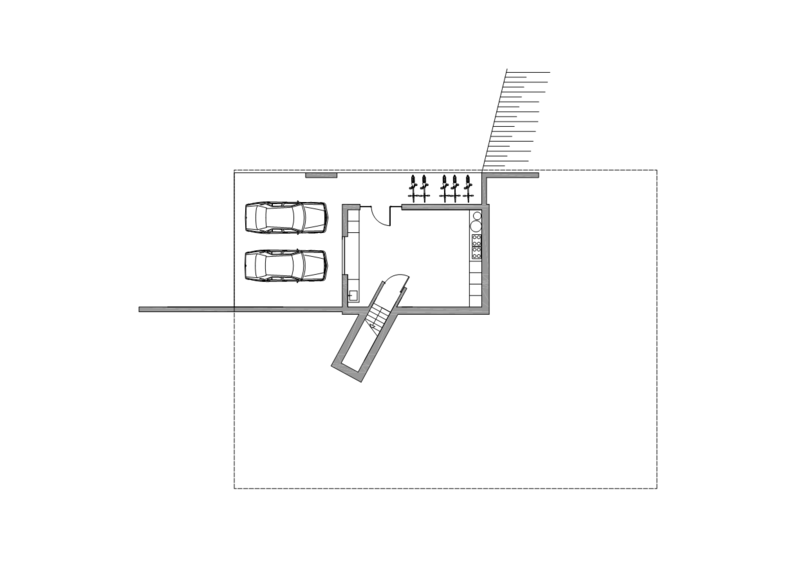 The living area of this bungalow with woodland is orientated to the south. So lovely, that sun out on the terrace. The glass wall of the living area towards the spacious patio is designed transparent to minimize the boundary between inside and outside. From the inside of the house this provides a maximum experience of the garden and the rest of the surroundings. Because of the large canopy and floor heating, it is also nice to be on the terrace on autumn days. From the entrance side the carport of the bungalow appears to be hovering. 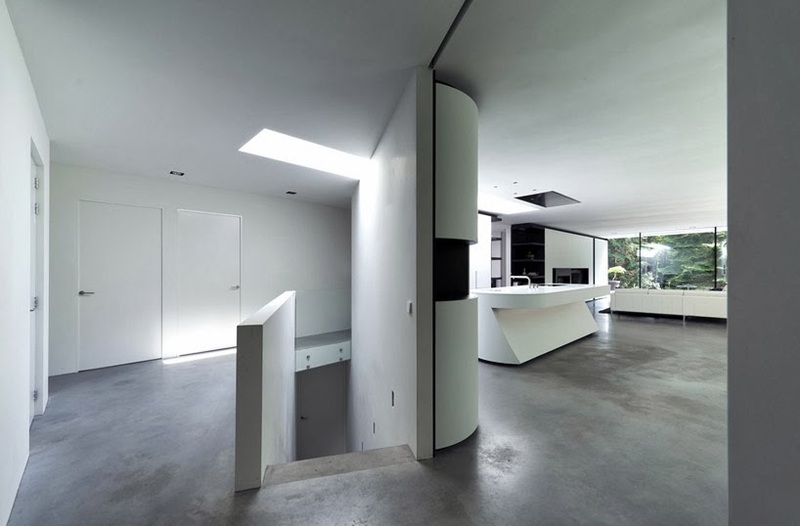 It is a simple architectural approach with a great visual effect. 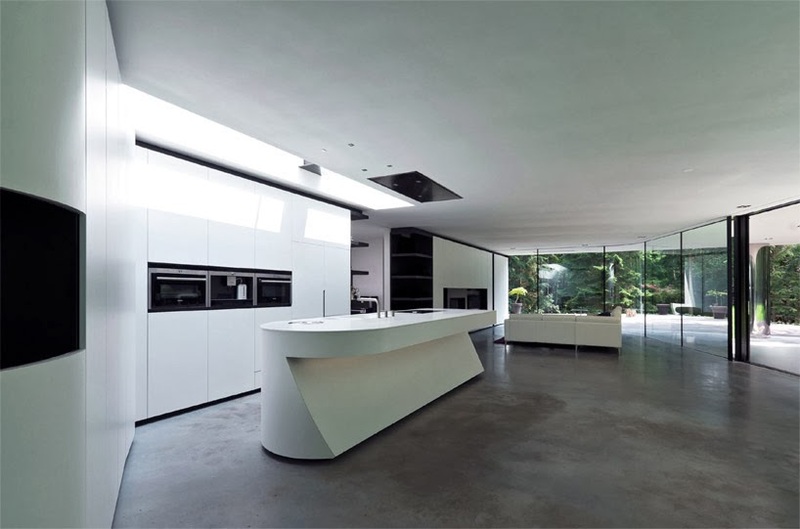 The house looks sleek and abstract on the outside, but has a warm and cozy interior. The furniture in the living room is all custom designed. 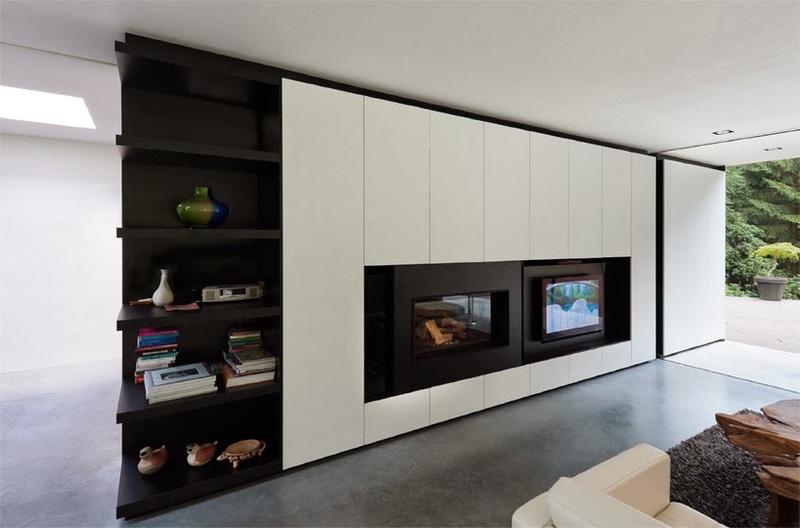 The kitchen, storage space, fireplace, piano and audio equipment form an integral part of the wall unit.